I am a people photographer. I love to capture emotion. I have a passion for the photojournalistic approach, being a “fly on the wall,” capturing the excitement, joy, and feelings ofeach moment. My wife, Andrea, is my partner in life and work. Our partnership offers a unique dual perspective to your wedding day. Our photojournalistic approach will have you reliving your moments and the feelings behind them. Our passion for photography started long before we met and became a team. I studied at the California Institute of the Arts where I was awarded a Bachelor of Fine Arts in Photography. 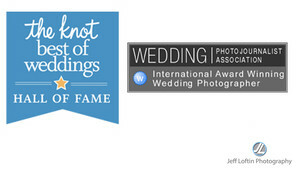 Since then, I have worked professionally in many areas of photography. I enjoyed my work as a newspaper photojournalist, commercial photographer, as well as an industrial photographer for one of the largest corporations in the world. I also had the privilege of working and learning under a renowned photographer specializing in wedding and portrait photography. I am an Adobe Certified Expert in Photoshop and a member of the P.P.A. (Professional Photographers of America) and N.A.P.P. (National Association of Photoshop Professionals). Andrea has always placed a special value on photography, with our house as a shrine of generations past. She was given her first 35mm when she was 11 yearsold, learning under the watchful eye of her father, the photographer. Her skills, including her background as an elementary school teacher and Mommy of two, have made our partner company, Tummies 2 Tots, the perfect gig for her. We consider our lives truly blessed, and it is an honor to be a part of so many wonderful celebrations. Photography has allowed us to combine our talent, creativity, and passion documenting one of the most momentous occasions in your life, leaving you with memories to last for generations to come.